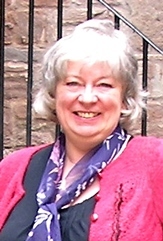 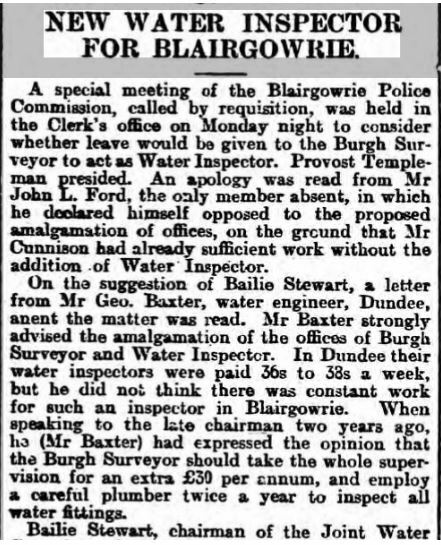 [S50] General Record Office for Scotland, online www.scotlandspeople.gov.uk, General Record Office for Scotland (Edinburgh, Scotland), GROS Statutory Deaths 1919 Blairgowrie 335/73 [Mar 2018]. 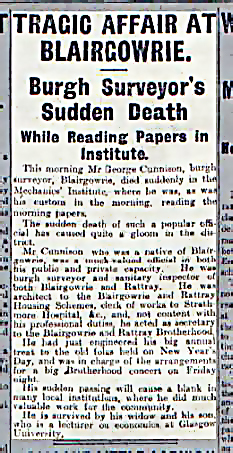 [S54] Website findmypast.co.uk (www.findmypast.co.uk) Newspapers Collection Dundee Courier 28/4/1941 [Sep 2017]. 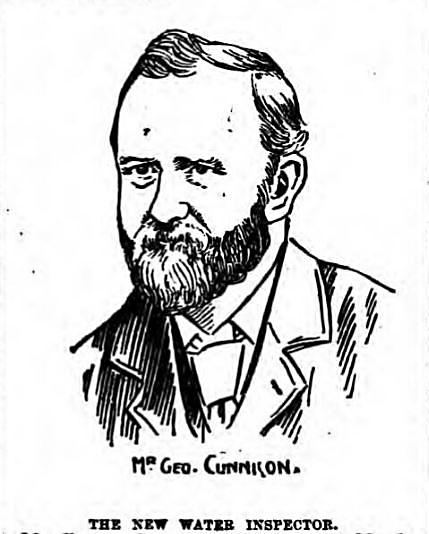 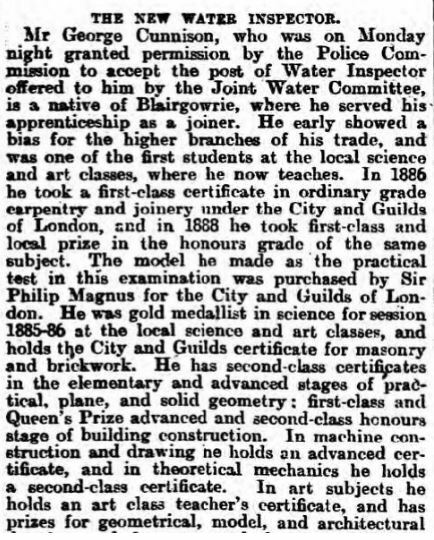 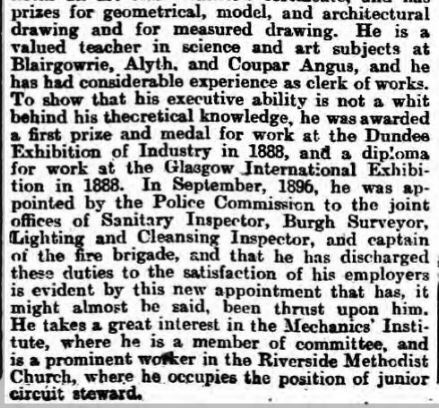 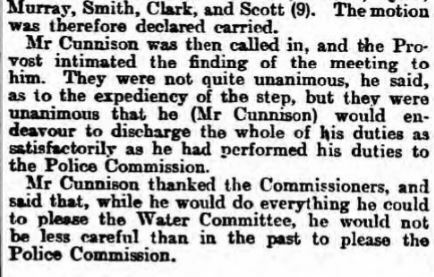 [S54] Website findmypast.co.uk (www.findmypast.co.uk) Newspapers Collection Dundee Courier 29 Mar 1899 [Sep 2017]. 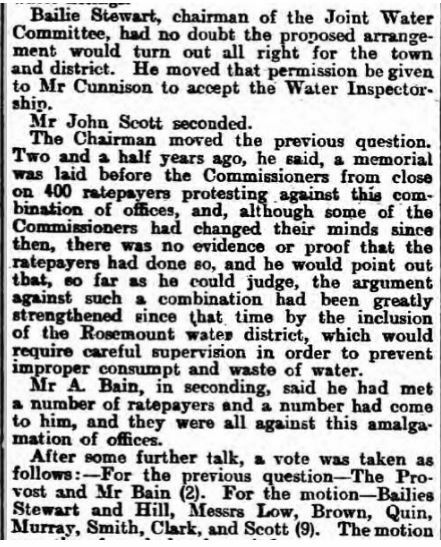 [S54] Website findmypast.co.uk (www.findmypast.co.uk) Newspapers Collection Dundee Evening Telegraph 31 Dec 1919 [Sep 2017].